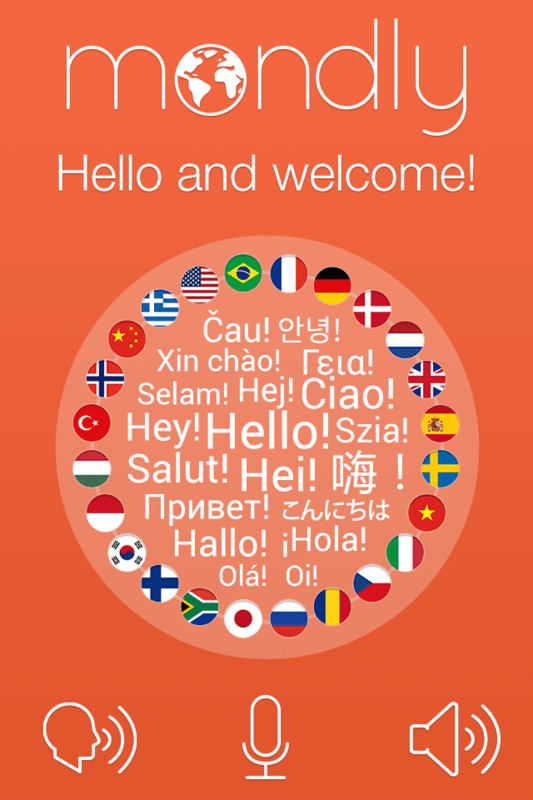 With the proliferation of smartphones and the simplification of the access to the Internet there is a large number of applications that help in learning different languages. 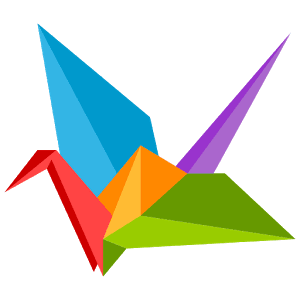 We reviewed a number of applications for studying Japanese and selected a few of these, which may be useful in the learning process, and to test your knowledge. You do not need to know anything about the Japanese language to study speaking of it with L-Lingo. The app is easy to use. We use a variety of learning tools – word, recordings of native speakers and pictures – so you may learn new words and expressions, which will be useful to you during the way, to communicate with native speakers in everyday life, at work. Lots of different words and phrases – and they are all backed up by pictures. The pronunciation of native speakers. Simple and intuitive design software. Once you see a pineapple in a supermarket, and immediately in your mind the right word comes, because thanks to L-Lingo you remember the word not only at the hearing and writing but also visually. The cources of the Japanese language will help you to learn foreign words and phrases quickly. Even without knowing the language, you can easily use the Japanese words and sentences! 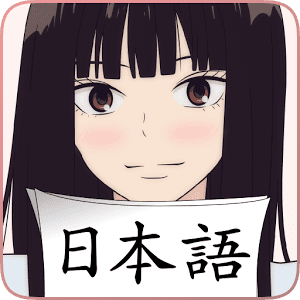 With this app you do not just learn how to write Japanese words – you will immerse yourself in a world of sounds and images of this language. The application for the studying of the Japanese language with the help of pronunciation of phrases. The study is due to listening to words and whole phrases. Each phrase and word will be accompanied by a description in English. 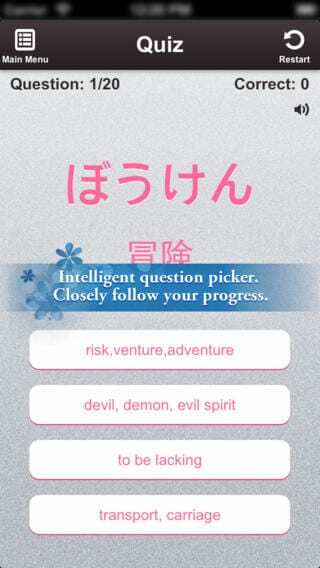 The application contains two Japanese characters (Hiragana and Katakana), as well as an English-Japanese dictionary. In addition, there are some applications allow to study Spanish, Korean, Chinese and German. Excellent tool for learning Japanese through the pronunciation of sentences. A huge number of words and phrases. Two built-Japanese dictionaries, as well as the English-Japanese dictionary. 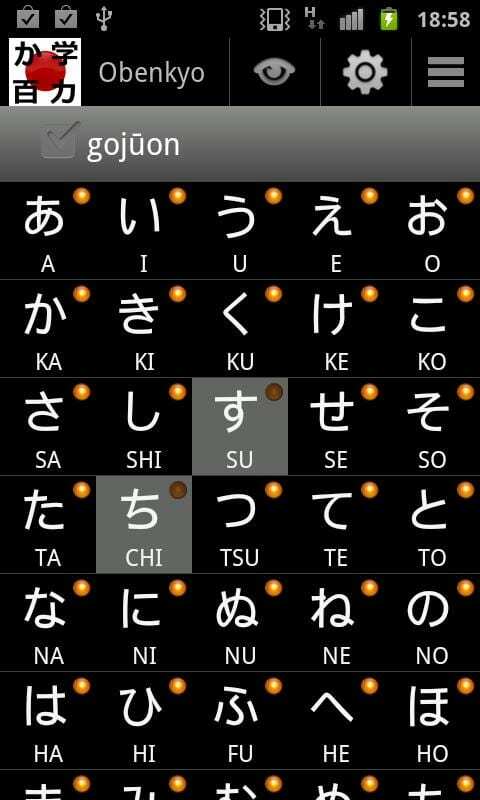 This application is designed for beginners to learn the Japanese language. There are lessons to study kana, kanji, different thematic dictionaries and travel dictionary of phrases. The program is a fascinating interactive course of the basics of the Japanese language, which includes 23 lessons of increasing difficulty. Each lesson there is a part dedicated to grammar, a small Japanese text, and an interesting information about the culture of Japan. The program includes both the Japanese syllabaries (hiragana and katakana), kanzdi hieroglyphic system, numerals (the actual number of countable and suffixes), conjugations of verbs and particles are separately considered. There is also an extensive grammar section with clear examples and vocabulary which includes 1855 words. 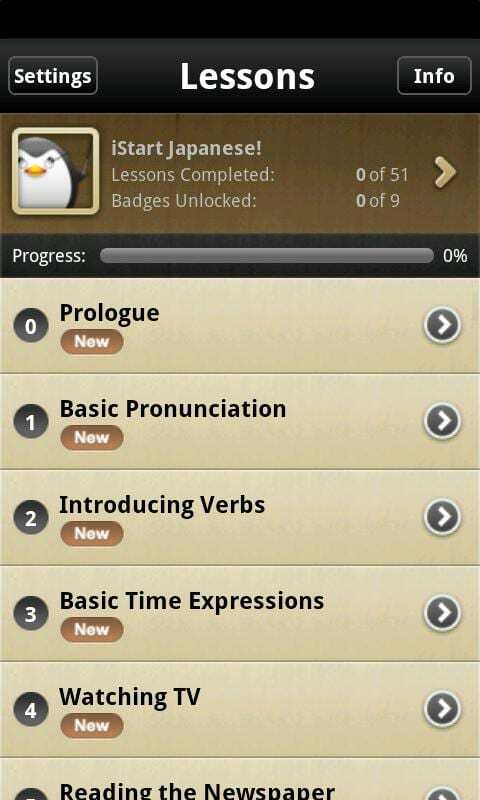 All lessons are voiced by native speakers. For each section, you can build your own list with notes. To test your knowledge there is a system of interactive audio tests of different complexity. The interface is clean and simple, the design is beautiful. 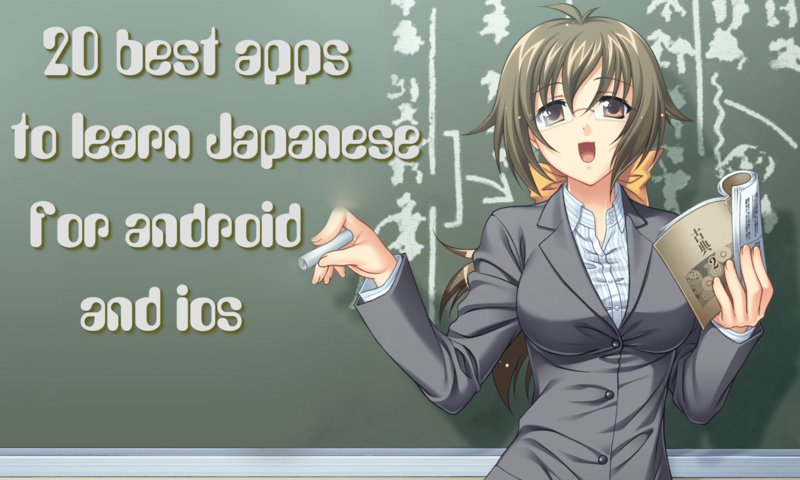 The application is designed for learning the basics of the Japanese language. Also, it can be used as a phrasebook. The program includes over 800 common Japanese phrases and expressions, structured by categories (similar to the standard phrasebooks). There are sections for teaching grammar and pronunciation. In addition, the program includes an extensive dictionary. Often required phrases can be added to favorites. There is built-in search. As a virtual teacher, a beautiful parrot speaks with a different pronunciation (parrot is voiced by a native speaker). The interface is beautiful and comfortable. The user can configure the font size on their own. This application is a collection of the issues, the answer you need must be entered by your own instead of choosing from ready-made options. Questions range from the translation of single words to whole sentences, both from Japanese to English and vice versa. 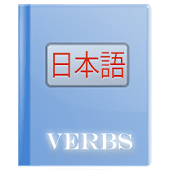 Kotoba is an application for memorizing words, it is a real treasure chest, containing 169,715 Japanese words and phrases. 15,060 words is inscribed furigana (sound written in hiragana). To work with it you should be able to read written Morse; words are partitioned by the level of difficulty. Each section contains a group of 50 words that helps to organize the process of memorizing. The test is possible in both directions – the word is given, and it is necessary to determine the value or the value is given, and you should select the corresponding word. With the convenient organization of the material, the program is suitable for the beginners as well as for holders of the certificate Level 1 Nihongo norёku siken, who want to refresh their knowledge or to deep into the jungle of special vocabulary that goes beyond the standard volume study of the Japanese language. 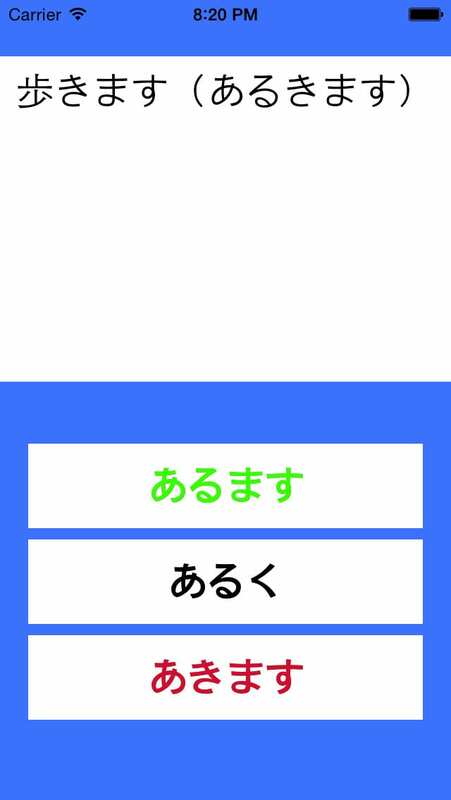 This application is intended for those who have already know katakana and hiragana. The application provides an opportunity to study the words in three directions: Common words, JLPT and Mainichi Shimbun newspaper. In each direction, the words are divided into groups and subgroups. In one subset there are about 50 words. 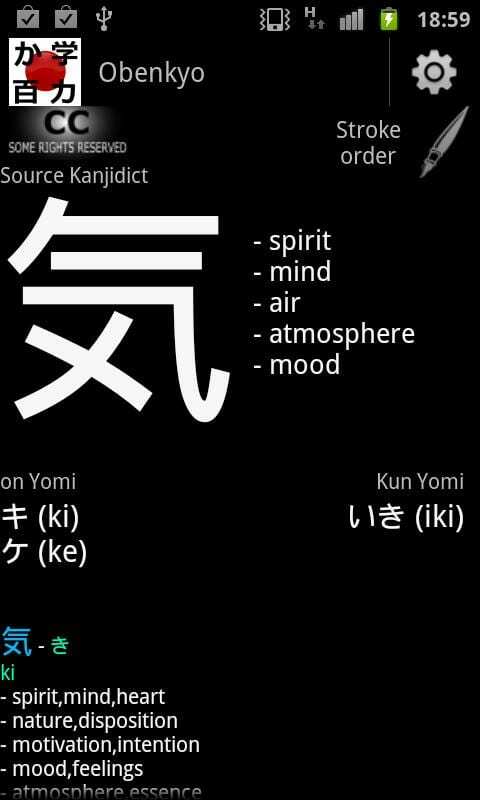 To each word the app gives the hieroglyphic (if any) writing, reading it to hiragana or katakana and all its values. The application requires knowledge of the English language. 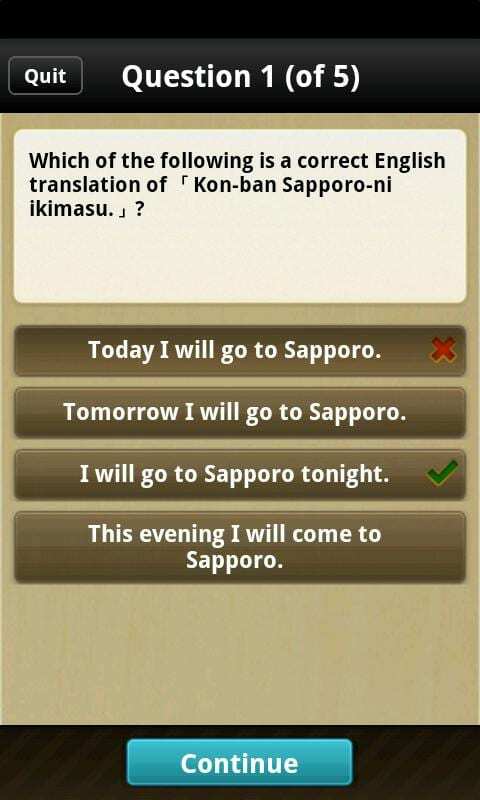 This app is designed for both beginners and for advanced Japanese learners. There is an opportunity not only to learn new material in sections but also to test the knowledge of these materials within the divisions respectively. The following sections are presented: Katakana, Hiragana, Numbers, Kanji, Vocabulary, Grammar, and particles. There is the possibility of personalization submission of new material and testing. 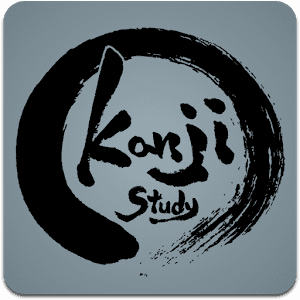 The application provides the lists of kanji that can be displayed in accordance with the levels of the exam to determine the level of ownership of the Japanese language (Nihongo norёku siken, JLPT), helping you to prepare for the exam. The program also includes vocabulary and grammar exercises, and although it is in the process of development and some of the features do not always work properly, it can be very useful in the study of Japanese writing. Advanced training dictionary with multiple search options and examples of the use of words in a sentence. 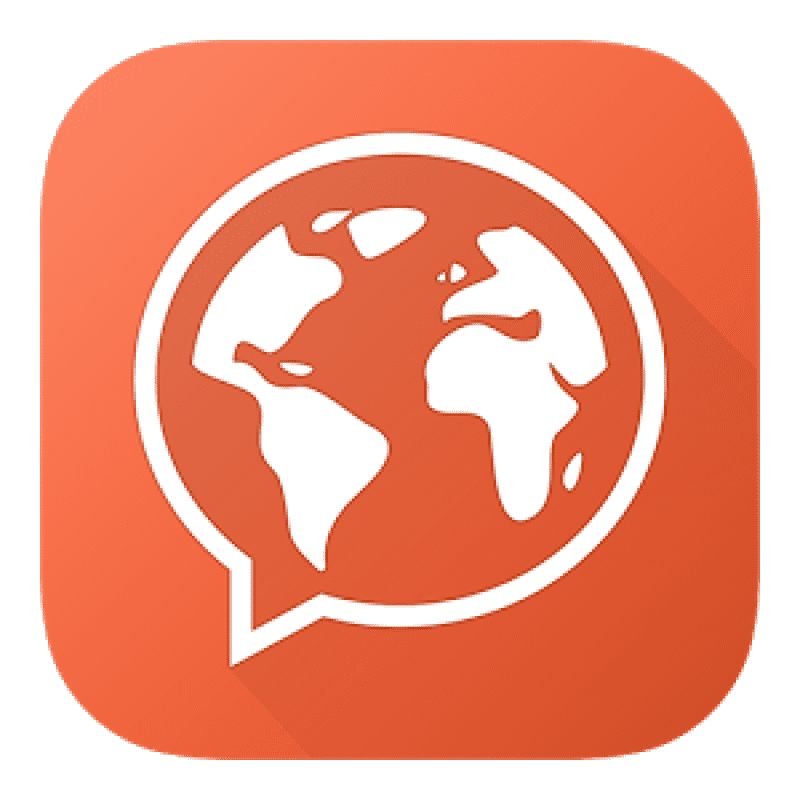 To each sentence the app gives lexical and grammatical analysis, allowing you to simultaneously memorize not only new words but also to get used to the grammatical constructions. 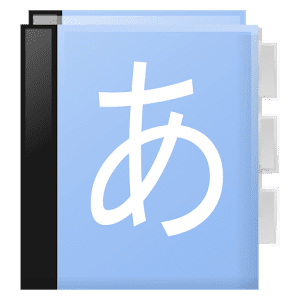 The application also contains audio files with pronunciation of words, hieroglyphs’ indicating keys, the level of the exam to determine the level of knowledge of the Japanese language (Nihongo norёku siken, JLPT), which corresponds to the hieroglyph or a word. The software is designed for the study hieroglyphs of the Japanese language. You will have an opportunity to explore the hieroglyphs as a new material, and to check the knowledge of previously studied hieroglyphs. New hieroglyphs are provided in the form of cards, where there are all their values, all the reading. In total, in the application, at the time of writing, there were 3007 cards. This application requires knowledge of the English language. 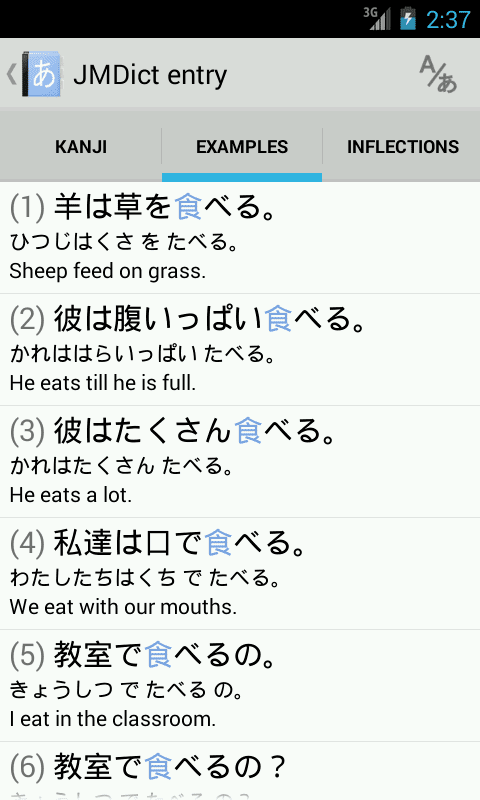 The app gives you an opportunity to study of Japanese verbs. The program provides the possibility to study the theoretical aspects of working with verbs, dictionary of the verbs of the Japanese language, as well as testing the knowledge of Japanese verbs. This application is suitable for the beginners to learn the Japanese language and for those who continue to study it. The application requires knowledge of the English language. 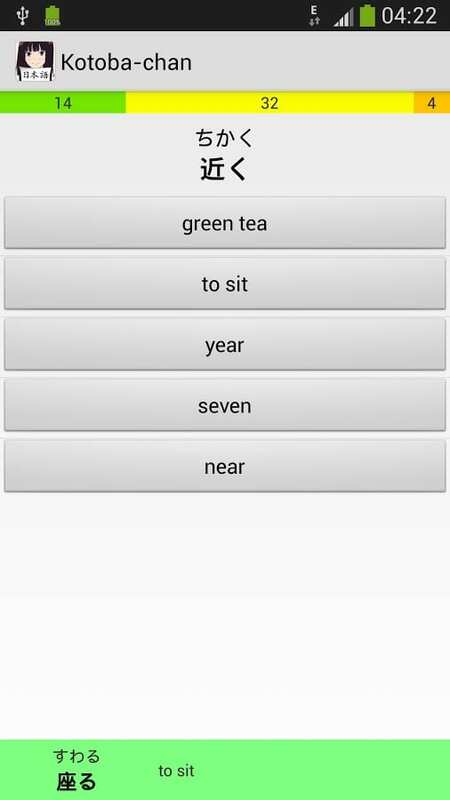 This application is designed to test the knowledge of the Japanese language. It has three levels of checking: from the beginner to the advanced. The number of questions in the test during a single pass is adjusted according to your desire. Immediately after the answer to the question, the result is given: right or wrong, and the correct answer is given when there was an incorrect answer. The knowledge of English is required for working with this application. It is an incredibly interesting program with which you can not only have fun but to do this with profitably. How will it look? Very simply, you have to choose a foreign language and begin to study it. After that, you can start a simple and clear process of learning. That is why it is very important to understand how the application is different from its competitors. Never before, it was not so easy and fun. 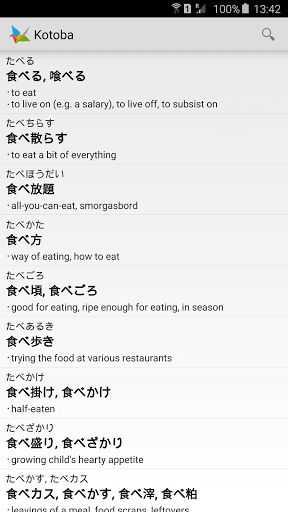 It helps to build a database of words in Japanese and allows you to lead any conversation confidently. 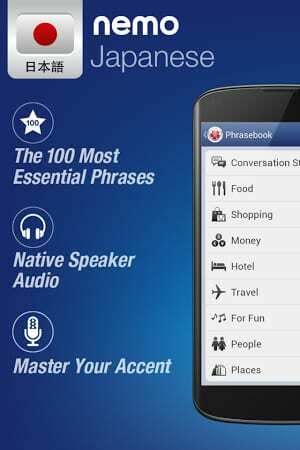 More than 1,200 most frequently used foreign words and phrases that are spoken by a native speaker. Practice the pronunciation in the recording studio. It is sufficient to record the phrase you uttered and compare it with the way the teacher says. You’ll wonder how fast your foreign accent has changed. Nemo also serves as an interpreter. It will come to help in any situation. On a device, all audio files are loaded, which help to save money on expensive database access while you are abroad. It does not require the prior knowledge of Japanese. Nemo is created so as to maximize the amazing power of mobile devices and the human brain. Its goal is frequently used words. The full version includes the most applicable words and phrases in everyday life. Decode the menus with the most used words of the section “food”. Achieve excellence and build a sentence in Japanese with the help of auxiliary words. Make new acquaintances using compliments and templates for the beginning of the conversation. Nemo is your own tutor who will monitor your results in the development of all the words and expressions. You decide which words to learn, and which ones to skip unnecessary. For a more successful memorization, Nemo introduces new words slowly and at the right time checks their development so that they are stored in long-term memory. Japanese with Nemo is a portable application which is easily integrated into your lifestyle! 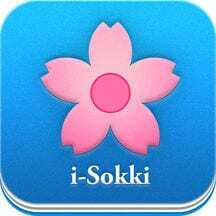 i-Sokki Japanese Vocabulary is an application that will help to learn everyday words and phrases in Japanese, with correct pronunciation. With this program, you will be able to hear, read and learn the different Japanese symbols. 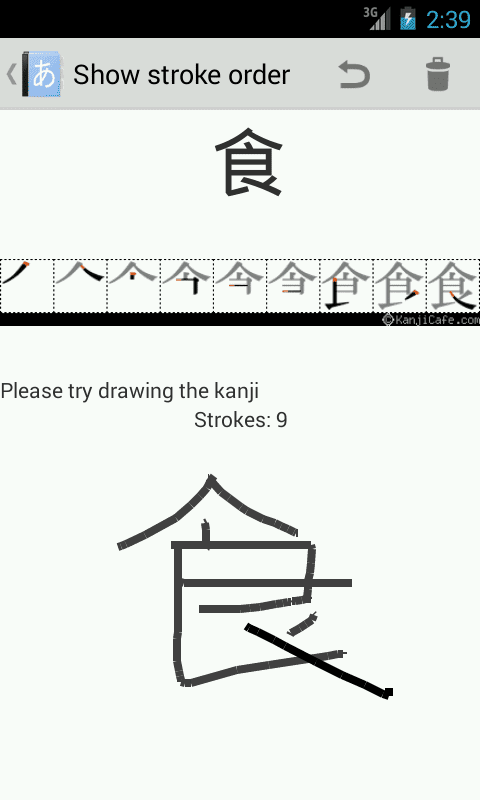 It is a program for learning Japanese kanji and words. Vocabulary is shown in the form of a map on which you can move freely. The program collects kanji dictionaries for JLPT exam, kanji, which are studied at school (from 1 to 9 levels), and the old and new lists of jōyō kanji. All the kanji are divided into these categories. You can create your own list and add kanji and words in them. The program remembers your progress for each hieroglyph or word, and selects them for testing by a certain algorithm. You can set reminders for daily tests. The program includes about 2,000 animation writing hieroglyphs. It includes a large database with examples of the use of each hieroglyph. For large kanji dictionaries, there is a list mode that supports searching and sorting of hieroglyphs. 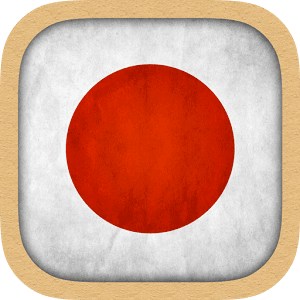 Japanese-English Dictionary is a free application for Android-devices, which is a bi-directional English-Japanese dictionary that allows you to find quickly the right translation for a word in English or Japanese. The program includes more than 350,000 Japanese words, phrases, examples of sentences, pronunciations, built-in search is also presented. 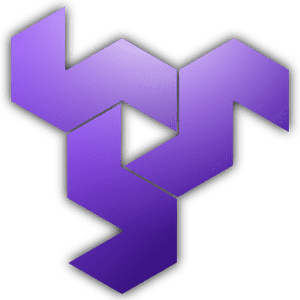 The application will be useful in the study of the Japanese language, but also when traveling abroad, at a meeting with the familiar aliens, in emergency situations and in many other cases. Progress in education can be shared with friends on social networks. It is the full version of the program, which will help to study kanji of the Japanese language. The program divides all the hieroglyphs into the groups, which may have different meanings in different combinations, there are more than 6,000 pieces of them. Based on the complexity of the language the author simplified the work with the study and created a simple and intuitive interface. Japanese-English Dictionary includes about 170,000 records from the Edict, about 4,500 kanji entries from Kanjidic2. It is able to search using the Kanji, Hiragana, Katakana, Romaji. There are filters on the hieroglyphs, usability phrases, values, and reading, part of speech (verb, noun, etc.). Internet connection is required only during the download of dictionaries. We have reviewed the best applications for the study of the Japanese language. 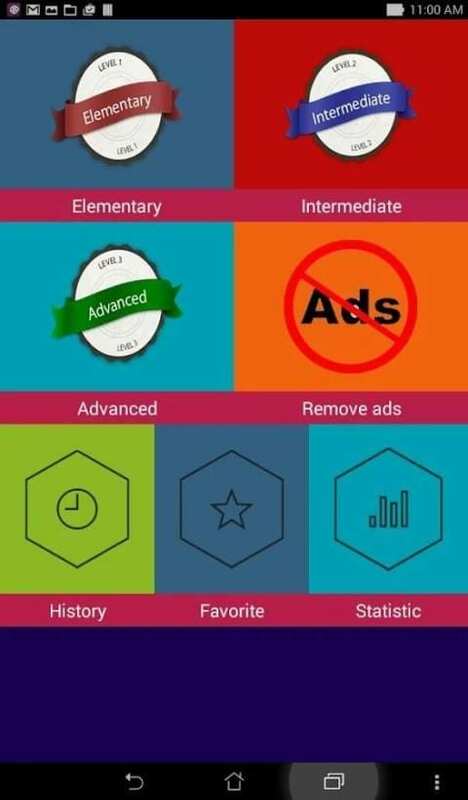 If you are a polyglot, and you are ready to proceed with the study of another foreign language, we advise to view the article 15 Best apps to learn Spanish for Android & iOS.